By surfing to this site you have discovered a gameworld which can change your life. This is an open offer to trust your own authority and responsibility; everything is entirely your choice. 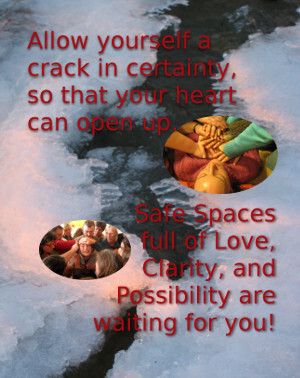 If you are somebody who longs for more consciousness, for growth and transformation, for experimenting at the edges of the well known and for strengthening your own power and effectiveness to change something in this world where sustainable changes are urgently needed - then you will find a useful context and tool set in our trainings, coachings, texts and other offers, to accomplish this vision. A video finished at Sylvester 2018 with some of the awesome experiences during a four week "box expanding" trip to Tanzania in Nov./Dec. 2017 - enjoy!